Flip Out Mama: Fifty Two Shades of Blue-ish and Something I've Always Wanted To Do! Fifty Two Shades of Blue-ish and Something I've Always Wanted To Do! What is something that you have always wanted to do, but have never been brave enough to? That is the question I was asked recently by a campaign for Role Mommy Writer's Network. This posed a really deep question for me, and there really is only one answer for this question. Getting married. It is truly the only thing on the list for me. My love, my baby's daddy (LOL), my "hubs" and I have been together for a little over eight years. We have two beautiful boys together, a house, and a car. We met right out of high school and have been together ever since. But, we still haven't gotten married. Why not? I really honestly can't say. I am not sure. I guess we are just too scared. I don't want to be divorced. I would rather just be "together" than have to ever get divorced. I have four brothers and sisters, all divorced, remarried, divorced, etc.. and on and on it goes. I want my kids to have both their mom and their dad. I don't know why I think that by never getting married it will prevent us from ever breaking up, but I do. So, that's my one thing. Get married. I wonder if I will ever do it. I really enjoyed participating in this campaign for Role Mommy Writer's Network, since it made me think and get outside of my comfort zone. 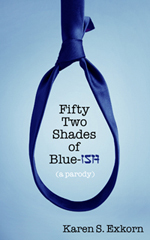 While I was participating in this campaign, I was introduced to a great book, "Fifty Two Shades of Blue-ish" by Karen Exkorn. 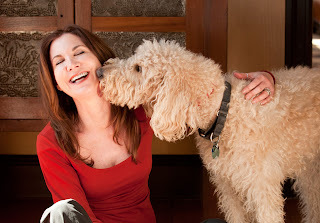 Karen set out to write this book when she was contemplating her own dreams that she was always too afraid to go chase. It's a parody of another certain famous book and it is hilariously funny and inspiring at the same time. If you want to check out the book, here's the Amazon link: http://www.amazon.com/Fifty-Shades-Blue-ish-Karen-Exkorn/dp/0988401509/ref=sr_1_1?ie=UTF8&qid=1351518122&sr=8-1&keywords=fifty+two+shades+of+blueish.